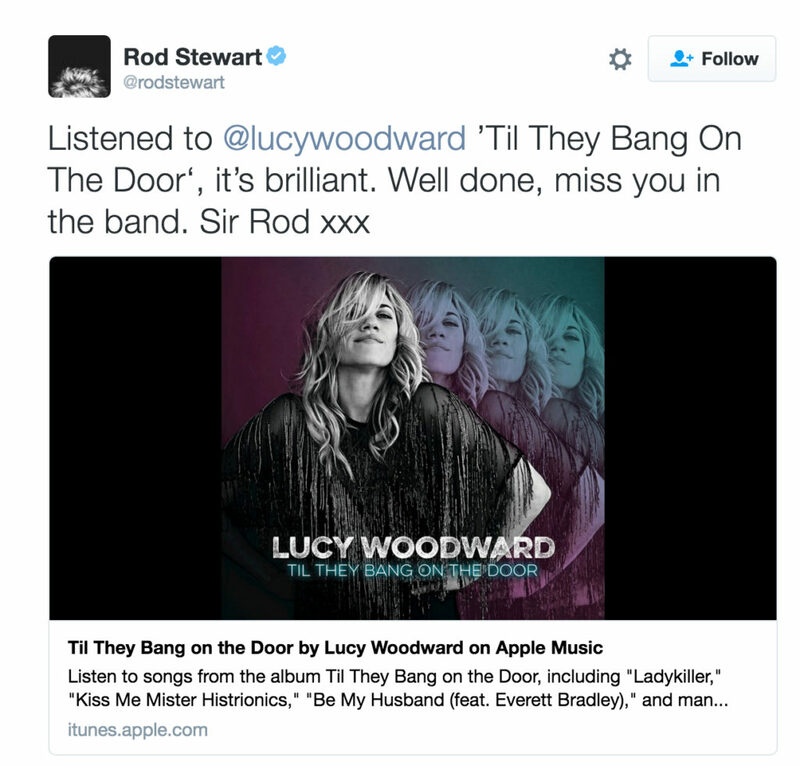 Lucy Woodward’s fourth studio album, “Till They Bang On The Door”, was released by GroundUP Music. Mastered @ 3:3:2 Studio by Pablo Lopez Ruiz & Diego Calvino. Co-Produced by Michael League (Snarky Puppy) and Henry Hey (David Bowie, George Michael). Mixed by Nic Hard, recorded between NYC (MagicShop) and L.A. Personnel includes: Michael League, Henry Hey, Cory Henry (Snarky Puppy), Everett Bradley (Bruce Springsteen E Street Band), Tim Lefebvre (David Bowie’s Blackstar), Jay Jennins (Snarky Puppy), Chris McQueen (Snarky Puppy), Brian Delaney (New York Dolls) and Lucy who has collaborated with artists such as Rod Stewart, Joe Cocker and Celine Dion. Available on iTunes, including live bonus tracks with Snarky Puppy ! Behind the scenes footage here !